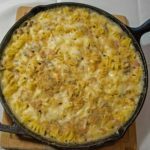 A great macaroni and cheese recipe like this one is a great way to satisfy that comfort food craving. 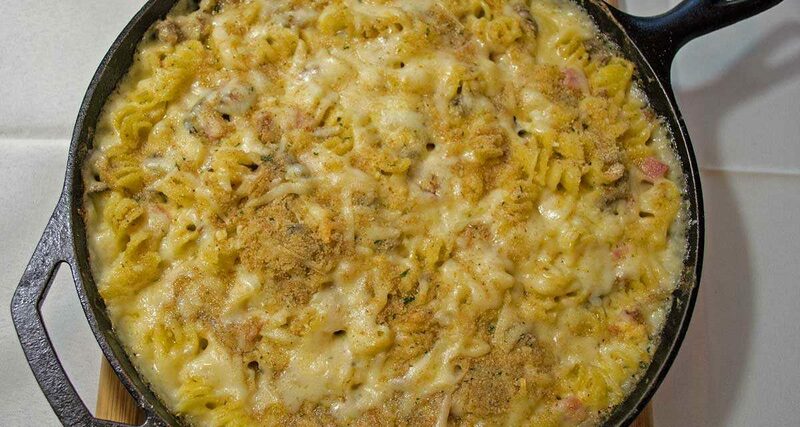 If you love macaroni and cheese, you should try this awesome recipe. It is simple, macaroni and cheese is a comfort food. It is not a dish that is good for you physically, however, it is good for you mentally. We all seek out our favorite comfort food from time to time because it makes us feel good. It reminds us of mom, of home, or of something that comforts us when things feel down. That being said, my love of comfort foods would not be complete without a recipe for macaroni and cheese. That also being said, there are good reasons to avoid the boxed mac and cheese from your supermarket. A few years ago it was discovered that potentially harmful chemicals were found in your child’s favorite meal; macaroni and cheese. Specifically, the boxed macaroni in cheese you get from the supermarket (Seattle Times, New York Times). “The chemicals, phthalates, can disrupt male hormones like testosterone and have been linked to genital birth defects in infant boys and learning and behavior problems in older children.” This was one of my favorite meals growing up and was a staple of my diet back in college when I couldn’t afford to eat very well. When I learned this troubling information about mac and cheese, I knew it was time to start making one of my favorite comfort foods from scratch. Besides, it tastes better that way too. A couple of years ago I used to frequent a brewpub on Camano Island that had some of the best mac and cheese. What made their version of this cheesy classic so good was that they had bacon, sausage, and ham in it. It was also homemade, very creamy, and had enough cheese to choke a chicken. Since I already had a good recipe for mac and cheese that I included in my cookbook Damn Fine Dishes (page 72), I figured it would be pretty easy to duplicate this delicious piggie style macaroni and cheese. This recipe is the result of that. My family is a big fan of fake cheeses as well as gourmet cheese. Velveeta is one of our favorites. Use this instead of cheddar cheese for a delicious twist on your favorite cheese dish. Try adding a soft cheese to the mixtures by adding cream cheese or ricotta. This makes for an especially creamy mix and adds a subtle new flavor to the cheese sauce. Cut the milk back a little and use some sour cream to give the mac and cheese a new flavor twist. Sour cream can add a ton of flavor and change the whole dynamic of the dish. Just add about a cup of cooked bacon to the casserole. You can also use bacon as a topping. As with bacon, ham adds a salty protein to your mac and cheese that flavors it without a lot of added table salt. Cut back the salt a bit if you use ham or bacon in your mac and cheese. Ground beef and ground sausage are also a really good addition to mac and cheese. Just precook the meat, then add it to the mixture before you back it off. Adding a vegetable to mac and cheese won’t make it healthy, but it does help to make it more of a complete meal if you don’t plan on serving it as a side dish. You can use any vegetable you want but the old classic, broccoli with cheddar is a favorite. You make want to cook the vegetable down a little before you add it to the mac and cheese. Indoor Dutch ovens work great for macaroni and cheese. Just add the ingredients and back as you would with any other casserole dish. Cooking over a fire with a Dutch oven is a ton of fun. When I use a Dutch oven I often use a Dutch oven liner. These handy little liners are so awesome because they keep clean up to a minimum. I often do not need to clean my Dutch oven at all when I use one of these. I just leave the soot on the outside, but the inside is just as clean as can be. If you make this or any recipe in a Dutch oven, consider getting some liners. They make them in all different sizes, so make sure you get the correct size. The equipment links below have an eight-quart Dutch oven and the liners are the appropriate size for that Dutch oven. Macaroni and cheese is also great to cook in a cast iron skillet. Prep it up and toss it into an RV oven at 350 degrees for 30 minutes. If you want to make this in your oven at home you could do something similar with the same temperature. I plan on doing a grilled version of this recipes sometime soon. I think the smokey flavor from a grill would make the macaroni and cheese incredible. Making mac and cheese from scratch is pretty easy, it just takes a little more time than making it out of a box. The results, however, are so much better than boxed macaroni and cheese. One of the best things about homemade mac and cheese is getting that crunchy crust on top of the dish. To achieve a delicious crust on any casserole, I use breadcrumbs. I sometimes mix the bread crumbs with a little parmesan cheese as well. The parmesan cheese adds great flavor and browns nicely with the breadcrumbs. My favorite breadcrumbs are the garlic breadcrumbs or the Italian breadcrumbs. Just sprinkle as much as you like on top and bake long enough to brown the topping. Homemade mac and cheese with ham, bacon, and sausage. Macaroni and cheese is an excellent comfort food or for any occasion. It makes a great side dish, or serve it up with some variations to make it a meal. 3 strips bacon, chopped and cooked. Over high heat, bring 2 qt. water to boil in a large pan. Add elbow or rotini macaroni and cook, stirring occasionally, to just barely al dente; set aside in the colander to drain. Brown ground pork sausage and set aside. Cut ham into 1/2 inch chunks and set aside. Place a sauce pan over medium-low heat and melt the butter. When butter is completely melted, slowly whisk in flour and cook for 3 minutes, add salt and pepper. Add milk or cream and continue whisking until the mixture is smooth. Once all the cheese is melted, add the cooked noodles and stir until macaroni is thoroughly mixed in. Add pre-cooked meat previously set aside. Remove from heat, place in a Dutch oven and top with breadcrumbs and Parmesan cheese and any reserved cheese. Cover, and bake at 350° using 25 coals with 17 coals on top and 8 on the bottom. Cook for about 30 minutes. Remove lid and let stand for a few minutes to cool before serving. Dang! I need to try this Mac and Cheese. This has all my favorite meats in it!